Custom cut glass is becoming a standard feature in most new builds and renovations. With a variety of ways to incorporate the modern, sophisticated look of glass into your home, Top Shelf Closets & Glass specializes in cutting and installing custom glass to achieve your desired design look. All our custom interior glass is cut and installed to the highest standards with tempered safety glass. Glass walls, doors and room dividers allow a beautiful, natural barrier which flows with any home’s décor and design. We are increasingly seeing many homeowners use glass walls for home gyms and wine cellars, as well as interior glass doors enhancing the entrance to these spaces. The clean lines allow the homeowner to see through to the space that they would like showcased, ensuring an open floor plan while still allowing for a separation of the space. The use of these interior glass walls have the additional benefit of not blocking natural light, which is especially nice in a basement. A fantastic option to the traditional barn door is to incorporate glass with the barn door hardware. This rustic modern update to your home is great for tight spaces or as a focal piece. Glass railings are also a popular option to showcase a dramatic staircase or to keep a floor plan open and simple. Interior glass stairs have also grown in popularity for being both stylish and allowing more light through, therefore creating a feeling of more space. Both interior glass railings and stairs are particularly used in homes with a modern aesthetic. 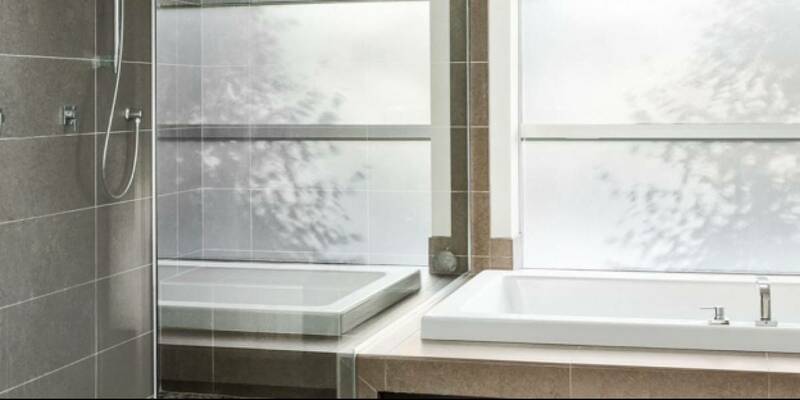 While clear glass is a popular choice for custom glass design, other options are available to incorporate if privacy is of concern. Regardless of what custom glass option you choose to incorporate into your home our design team is on hand from start to finish to make sure your custom glass is truly yours. For more information on our custom cut glass solutions for your home or office, please call or visit our Edmonton showroom for a design consultation.